The University of Vienna is one of the oldest still existing universities in the world. 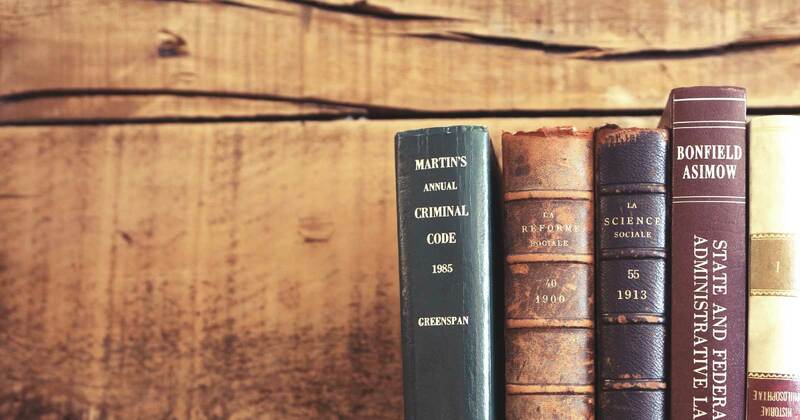 This year, in 2015, it turns 650 years old. And, with a birthday as grand as that, celebrations are in order. A highlight among the many activities and festivities initiated by the University of Vienna this year is Campus Festival, a three-day event which encompasses everything from science to entertainment. Campus Festival is held on one of Vienna University’s many locations – our main university doesn’t have one centralised campus –, which consists of a web of courtyards of differing sizes. The location itself has a history almost as vast as the University’s. From the 17th century on the area used to be a hospital – first a military hospital, then the general hospital. It is where Ignaz Semmelweis worked, and where Karl Landsteiner discovered the blood types. 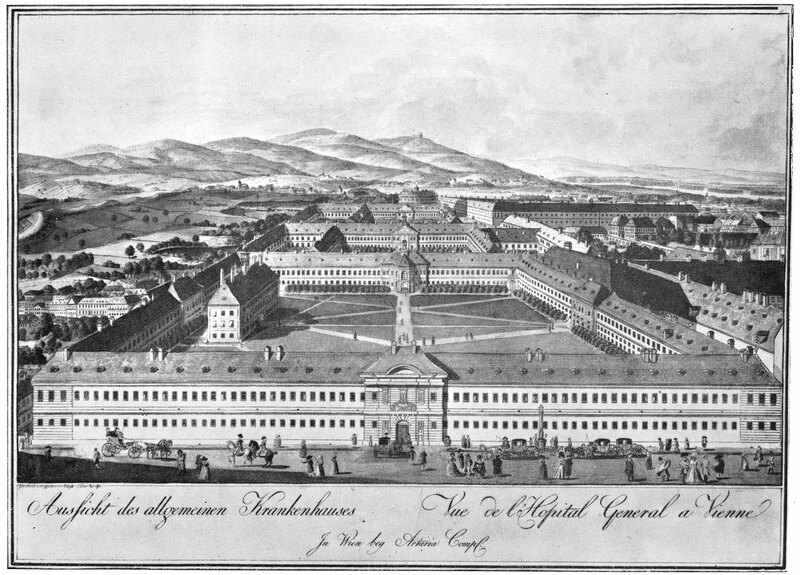 “The Former General Hospital”, now the location of the Vienna University Campus, in an engraving from 1784. 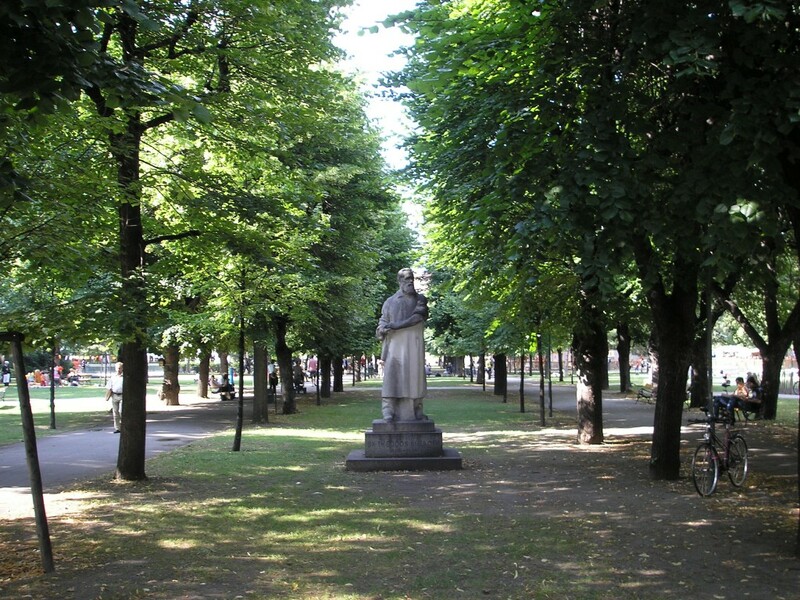 In 1988 the area was given as a gift to the University of Vienna. Rebuilding and adaptation started in 1993, and the University of Vienna Campus moved in in 1998. The courtyards now hold various university departments as well as some restaurants, attracting not only students but the general populace as well. Since it has a lush outdoor recreational area it is often the locations for festivals, parties and in the winter it even hosts one of the typical Viennese Christmas Markets. Interestingly, to this day, a lot of people still call the Campus by its old name, “Das Alte AKH”, which stands for “The Former General Hospital”. Undeniably, the history-laden Campus is the perfect location for Campus Festival and its aim to make science more accessible – all while celebrating the University’s history. Between June 12 and June 14 visitors can attend public lectures, view exhibitions, and casually chat with a number of young scientists about their respective fields of research. Naturally, there will also be a lot of kid-friendly activities on the agenda, from quizzes to live experiments to interactive research stations. Music and culture lovers will get to see a variety of entertainment acts from music to “Kabarett” (which is not quite the same as the English term “cabaret” but rather denotes political satire shows). The fact that the University of Vienna has been around for 650 years doesn’t mean it hasn’t embraced the newer technologies 😉 Like any good event Campus Festival has it’s own hashtag and, of course, there will be a social wall as well. You can post to the wall by using the hashtag #campusfestival and check up on what’s happening by navigating to the social wall. We’ve also had a quick chat with Claudia Bayer, who is an event manager at University of Vienna and part of the team organising everything regarding the 650 year jubilee. How many visitors do your expect for Campus Festival 2015? We reckon there will be about 30,000 visitors over the course of three days, from June 12 to June 14. Where are you embedding the #campusfestival wall? We’ve embedded the social wall on the Campus Festival subsite so it can be easily found on the same page as all the information. Will there be a physical wall at the festival as well? Yes, we will put up a big LED Wall next to the stage we are setting up in the largest of the courtyards, the “Hof 1”. How and where are you promoting the hashtag in order to get visitors to diligently use #campusfestival when posting on social media? We’re promoting the hashtag on the Campus Festival website as well as on other University of Vienna subsites, our Uni Vienna Facebook page and Twitter account. On location, visitors will be alerted to the hashtag not only via the physical wall itself but also in our printed programme folder and by the presenters on stage. Furthermore, our social media reporters will be covering the whole area and introducing visitors to the hashtag.